Repair and conservation of Church and Cathedral structures including pews, choir stalls, pulpits and rood screens, light damage and more. 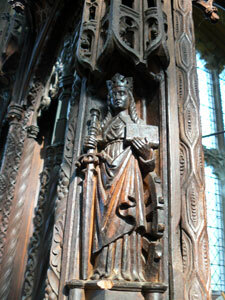 High quality ecclesiastical woodwork conservation. Many of our churches and cathedrals house fine woodwork which is of the greatest importance and require a high degree of specialist care. 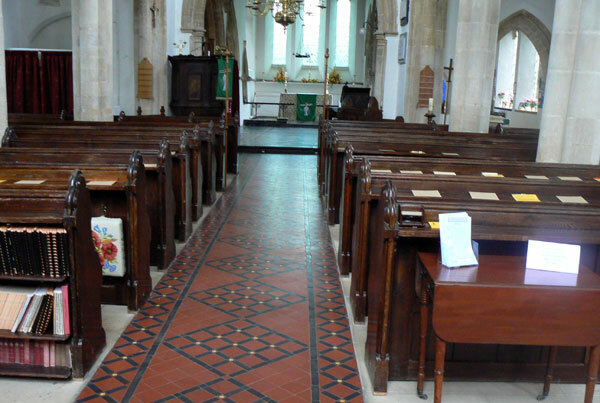 Church pews, choir stalls, pulpits and rood screens are susceptible to damage from wet and dry rot, insect infestation, changes in moisture content and light damage. Water based adhesives used in construction can fail over time leading to delamination and loss. 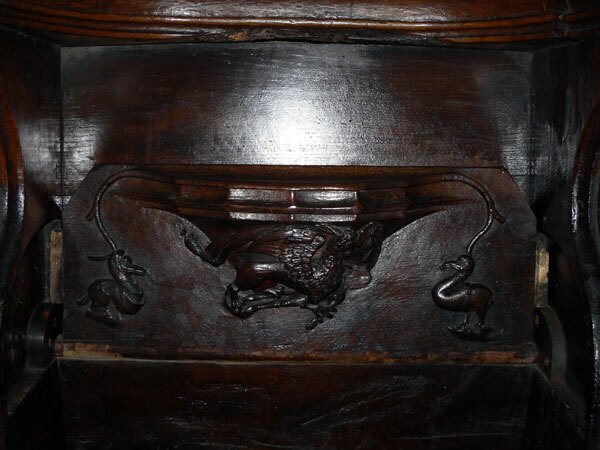 Misericord seats which are often the subject of fine early carving are particularly prone to damage which can lead loss and failure. Regular inspection and reattachment of losses can form part of an ongoing conservation program reducing long term damage. It is important that church woodwork which has been removed to storage because of the changing way in which churches are used is regularly inspected and conserved as required to ensure that these elements can in due course be reinstated. The first stage in the conservation of church interiors is to carry out a condition inspection which can begin the process of assessment and treatment. Working closely with those who care for our churches we can develop conservation plans and provide reports and proposals for funding applications which meet the required conservation standards. Where funding is in place we can undertake conservation works to ICON standards to protect existing material and where required, restoration of losses can be carried out without undermining the integrity of surrounding material. Contact us now for a conservation quote or to book an inspection. Call 01780 481199 or use our online form.